The Cedar Rapids Kernels will play five home games this season with noon starts for fans who enjoy day baseball. The gates will open at 11 a.m. for the noon games. Monday noon games will feature the Dollar Monday Special. Tuesday noon games will feature a $7 lunch combo, consisting of a sandwich, snack, soda or beer. The Tuesday games also are part of the Great Clips Twins Tuesday promotions. The Cedar Rapids Kernels will stage 12 post-game fireworks shows at Veterans Memorial Stadium this season. The Cedar Rapids Kernels will wear special jerseys at selected games this season at Veterans Memorial Stadium. The jerseys will be sold during the game through a silent auction on the concourse. The Kernels also will wear Minnesota Twins replica road jerseys during every Tuesday home game as part of Twin Tuesday, presented by Great Clips. These jerseys will be sold as part of a silent auction on Fan Appreciation Night on Friday, Aug. 30. 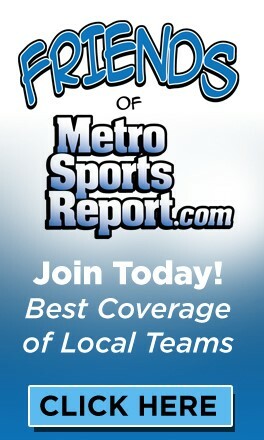 Visit www.kernels.com for game times. 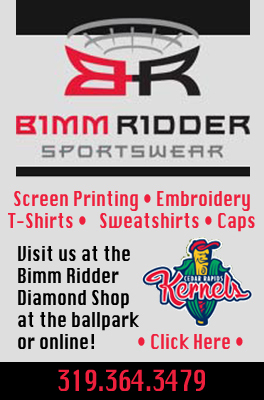 The Cedar Rapids Kernels will be offering a special promotion every day of the week this season. Run The Bases Sunday, presented by 104.5 KDAT, returns at the ballpark. Fans can get autographs from Kernels players, run the bases and play catch in the outfield following home games on Sundays. Fans can enjoy Papa Balloon and Face Painting by Kennedy on the concourse during Sunday games as well. They also can play Travel Advisors Baseball Vacation Bingo to win a trip to a Minnesota Twins game. Fifty-nine former players for the Cedar Rapids Kernels were invited to Major League spring training camps this season. Five members from last year's team received invitations with catcher Zach Wright, infielder Alex Yarbrough, infielder Eric Stamets, infielder Kaleb Cowart and pitcher Donn Roach all getting the call. Hank Conger, Jeff Mathis, Alexi Casilla, Mike Napoli, Alberto Callaspo, Andrew Romine, Erick Aybar, Howie Kendrick, Luis Jimenez, Jean Segura, Alexi Amarista, Sean Rodriguez, Mark Trumbo, Mike Trout, Peter Bourjos, Travis Witherspoon, Patrick Corbin, Tyler Skaggs, Andrew Taylor, Garrett Richards, Jordan Walden, Darren O'Day, Miguel Gonzalez, John Lackey, Tyler Chatwood, Ervin Santana, Will Smith, Bobby Cassevah, David Carpenter, Kevin Jepsen, Michael Kohn, Ryan Brasier, Johnny Hellweg, Fernando Rodriguez and Joel Peralta. Carlos Ramirez, Bobby Wilson, Brandon Wood, Efren Navarro, Luis Rodriguez, Dallas McPherson, Matt Young, Randal Grichuk, Barrett Browning, Warner Madrigal, Trevor Bell, A.J. Schugel, Kevin Johnson, Sean O'Sullivan, Mason Tobin, Ramon Ortiz, Rich Thompson and David Herndon, along with the five 2012 Kernels listed above. It looks like the Cedar Rapids Kernels have hit a grand-slam by joining forces with the Minnesota Twins this season. A record crowd of more than 500 baseball fans attended the 17th Annual Hot Stove Banquet at the Cedar Rapids Marriott Thursday night to mingle with Twins Manager Ron Gardenhire and members of the Twins Winter Caravan. 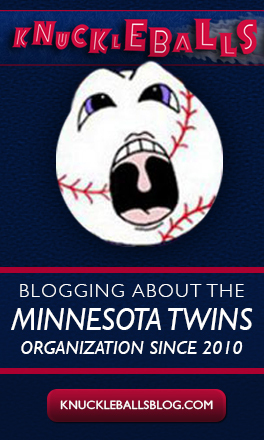 Several dozen fans were dressed in Twins attire and many others identified themselves as Minnesota fans, delighted the Kernels are the new Class A affiliate of the Twins in the Midwest League.